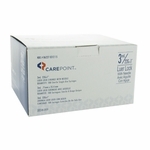 Helps Eliminate Accidental Needle sticks! Film coated for maximum comfort. 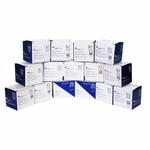 Helps Eliminate Accidental Needlesticks! Film coated for maximum comfort. 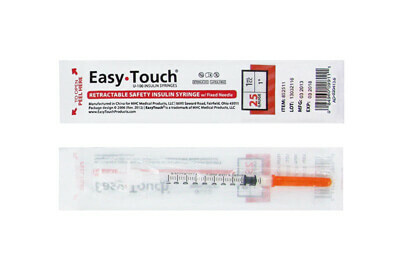 The makers of Easy Touch® Insulin Syringes brings you the Easy Touch® Retractable Safety Insulin Syringes with Fixed Needles. 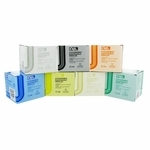 They are easy to use with a smooth injection (pull) force. They are electropolished, film-coated and made with a patented No-Gap Design for less waste and a Tri-Bevel Cut Tip for sharpness. 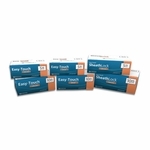 Easy Touch® Retractable Safety Insulin Syringes are sterile, individually wrapped, and latex free. The 3-Step Retractable Safety feature locks the needle into the syringe barrel to help eliminate accidental needlesticks for a safe and comfortable use. 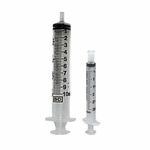 Generally speaking, you should size your syringe to your maximum injection dosage. 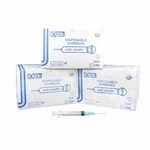 For example, if you are taking 20 units per shot, you could use either a 0.5cc/50 unit syringe or a 0.3cc/30 unit syringe. 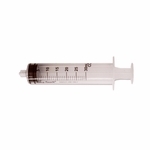 If you are taking 60 units, use a 1cc/100 unit syringe. Since the markings are wider apart the smaller the syringe size, it is generally easier to read a 35 unit dosage on a 0.5cc/50 unit syringe than on a 1cc/100 unit syringe. It is easier to read a 15 unit dosage on a 0.3cc/30 unit syringe than on a 0.5cc/50 unit syringe. There is nothing wrong with doing a 15 unit dosage on a 1cc/100 unit syringe, but remember, being precise with your dosage leads to better diabetes management. 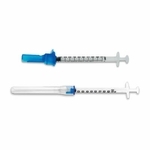 Easy Touch® Retractable Safety U-100 Insulin Syringes are available with 25 gauge, 29 gauge, and 30 gauge, sizes. This number represents the U.S. standard sizing for stainless steel hypodermic tubing. The actual dimensions are: The larger the gauge size, the smaller the outside diameter, and therefore, the smaller the hole put in you. You and your physician or diabetes educator must be the judge of your comfort level and needs. PUSH - Push the plunger down completely to engage the safety feature. PULL - Pull the plunger back to withdraw the used needle into the syringe barrel and lock it into place. BREAK - Break off the plunger to safely trap the used needle.